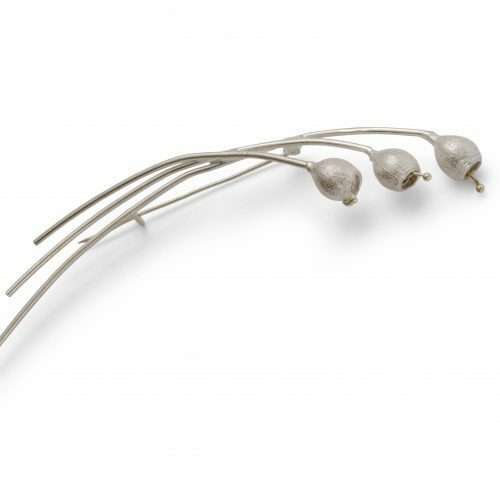 Reticulated silver formed cup, with 18ct gold bead detail set on a long slender wire, this brooch is beautifully elegant and simple. 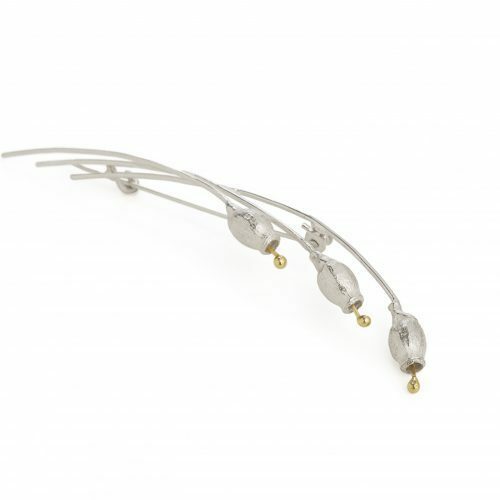 sterling silver and 18ct gold, 18mm diameter, stalk 85mm long. 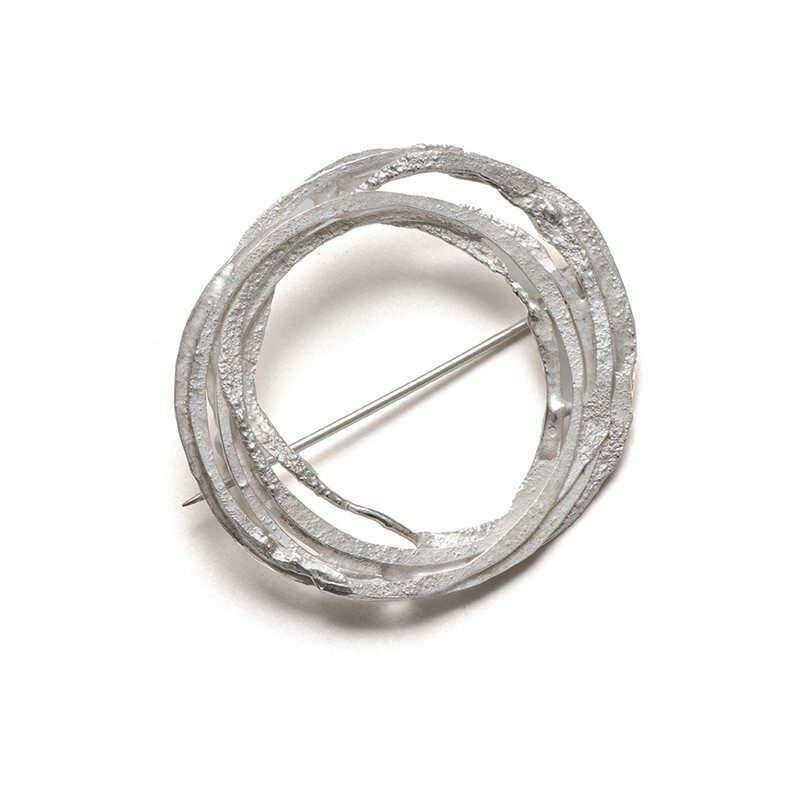 Crafted from hammered and textured silver and 18ct gold wire, interlinked and woven to create a simple and elegant brooch. 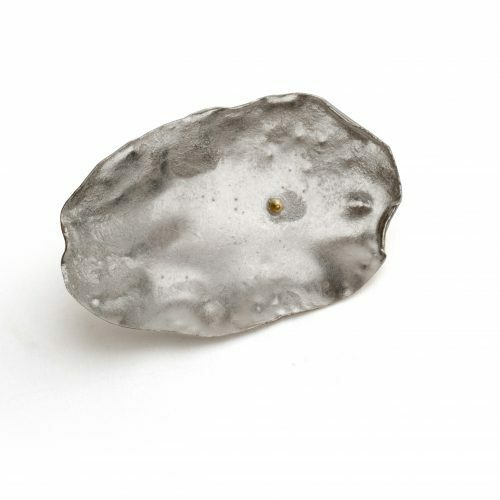 From my honesty collection, inspired by plant studies in my mothers Scottish garden. 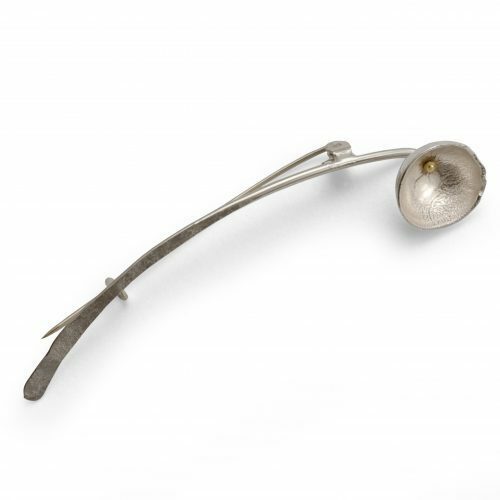 Reticulated silver, hand formed petal with 18ct gold bead detail, this brooch is beautifully elegant and simple. 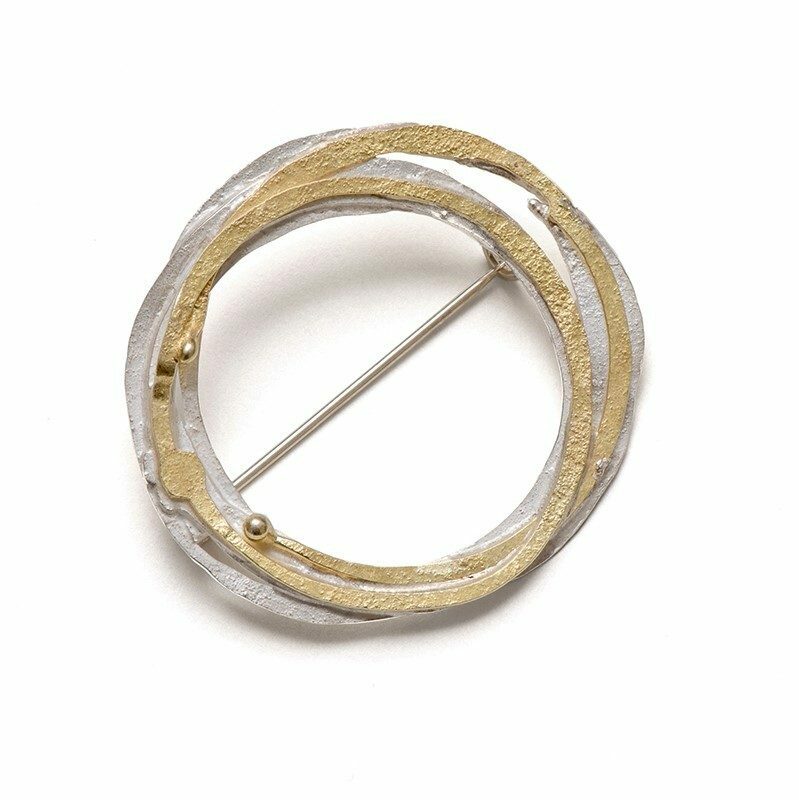 sterling silver and 18ct gold, 40mm x 65mm.